Few men in the history of popular music have had a career comparable to bassist-producer Norbert Putnam. While still a teen, Putnam made history as part of the original Muscle Shoals rhythm section, playing bass on hits by a slew of Top 40 artists, including Arthur Alexander, Tommy Roe and The Tams. 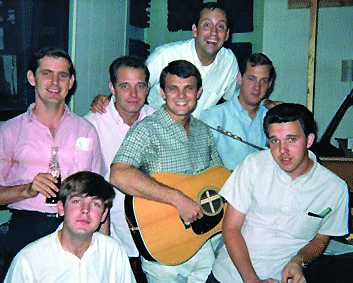 The original Muscle Shoals rhythm section and others take a break during a recording session at FAME Studio in 1963 for Tommy Roe (center with guitar): (Clockwise from bottom right): bassist Norbert Putnam, drummer Jerry Carrigan, studio owner Rick Hall, producer Felton Jarvis, arranger Ray Stevens and pianist David Briggs. Putnam was the bassist in Area Code 615, the session super group formed by eight of these younger Nashville cats. The Code released two groundbreaking albums in 1969 and 1970 that strongly influenced the burgeoning country rock and Southern rock subgenres. 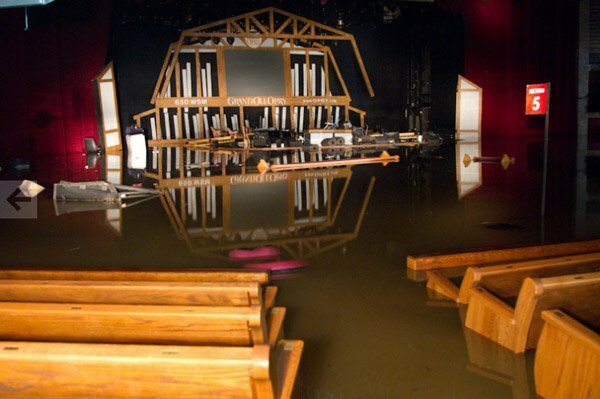 In 1970, Putnam and Briggs opened Quadrafonic Studio, which would become a recording destination for a variety of well-known artists, from Neil Young and Joe Walsh to Dan Fogelberg and Michael Jackson. 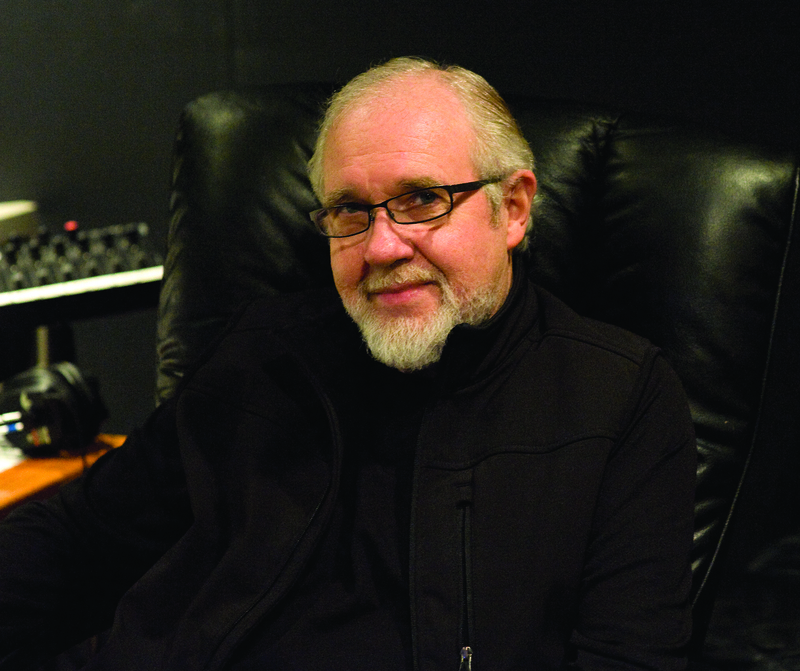 Putnam made the jump from sideman to producer when Kris Kristofferson backed out as producer on a record with Joan Baez in Nashville and suggested him as a replacement. 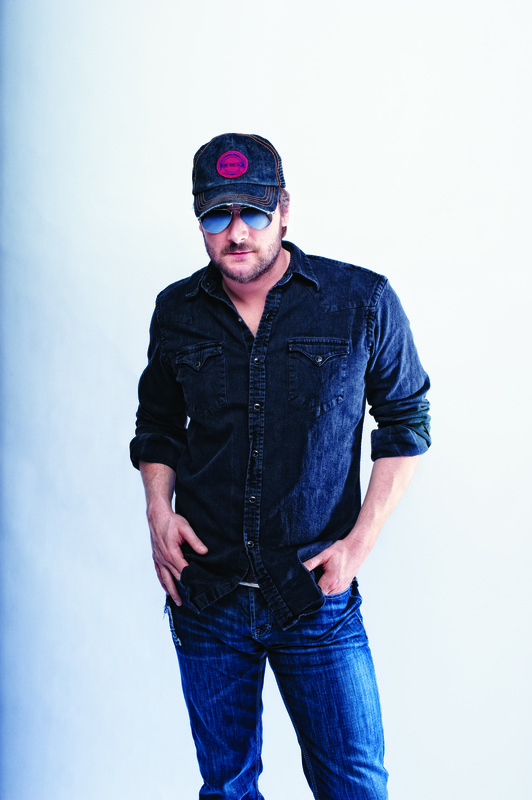 The result was Baez’s first platinum album Blessed Are…, and the Top 10 single, “The Night They Drove Old Dixie Down,” which went all the way to No. 3 during a 13-week run on the Billboard Hot 100. 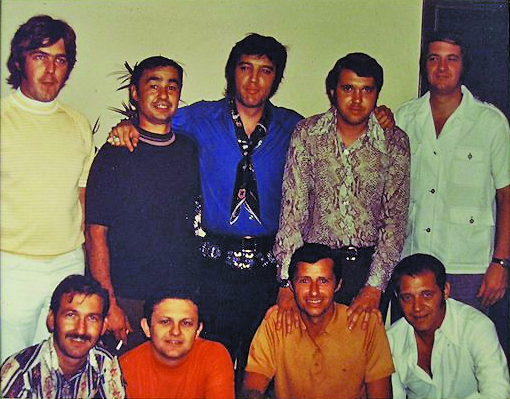 The King and his men during a break in a recording session at RCA Studio B in 1971: (top row, L to R) Jerry Carrigan (drums), Al Pachucki (engineer), The King, Norbert Putnam (bass), David Briggs (piano); (bottom row, L to R) James Burton (guitar), Charlie McCoy (harmonica), Jerry Stembridge aka Chip Young (guitar) and Felton Jarvis (producer). 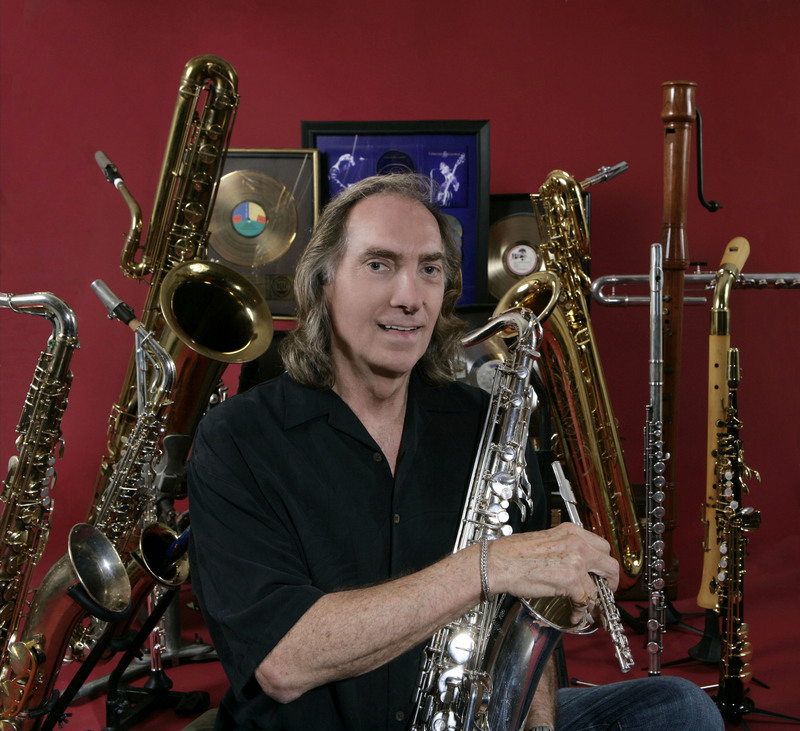 In the early ‘80s, Putnam retired from the music business to spend some time as a “normal person” for the first time in his life. Putnam, who has since come out of retirement, recently sat down with The Nashville Musician to discuss his celebrated career and his plans for the future. You retired from the music business in the ’80s. What led to that decision? I decided to go away and spend time with my children. I had been working in the recording studios for 24 years, and most of that time had been 12-to-15-hour days. I never knew what it was like to come home at six and have dinner with the family. I wanted to experience that. Recently, you reversed that decision and have resumed producing and performing. What made you change your mind? My wife Sheryl and I relocated to Jackson, Tenn., five years ago and purchased a large 1935 neoclassical house with a tremendous four-room basement. I converted the space into a modern digital recording studio. As you may know, my most successful studios, Quadraphonic and the Bennett House, were all well-made older homes. I then started a publishing company with my friend Randy Moore, and after a year of making demos, the bug to record and produce started to come back. You originally got into producing by accident, right, when you produced Joan Baez’s Blessed Are… album? The Dan Fogelberg tribute album you’re currently producing sounds interesting. Can you talk about that? I am always ready to talk about Dan and his immense talents. As most people know, he died a few years ago from advanced prostate cancer. He had no real symptoms to speak of until it was too late for treatment. His widow Jean, who had begun working with the Prostate Cancer Foundation, called to ask it I had any ideas for fund raising. I immediately suggested a tribute album. How far along are you in the production and who are some of the artists participating in the project? The project is now well underway with recordings by Michael McDonald, Donna Summer, Randy Owen, Don Henley, Joe Walsh and Zac Brown. Each artist is singing a favorite Fogelberg song. We hope to finish by the end of summer. Another interesting project you are developing is Uh Band of Legends. What are your plans for that project? Uh Band of Legends is a group of famous studio players who like to tell stories of their days recording and touring with all the legendary stars. Our core group played with everyone from The Beatles to Elvis to Billy Joel to Kenny Chesney. When we perform, we tell stories and play songs in tribute to the great ones. We then invite the audience to ask questions about our moments with their favorite star. We are making plans to tour extensively next year in Europe. Also, you’re preparing a musical memoir — what approach are you taking with that? My wife Sheryl has pushed me for years to write down the stories I tell at dinner parties. These stories are usually prompted by the host asking if I ever worked some of the lesser-known acts like J.J. Cale or Tony Joe White or Jerry Jeff Walker. And I have to admit, after a few glasses of red wine, the raconteur in me rears his ugly head and out comes a funny story. So over the last 10 years, I began to write them down and now I have ninety thousand words ready for assembly in some order. I hope to finish by the end of this year. Before you became a hit producer, you played bass on a lot of historic sessions, both as a founding member of the Muscle Shoals rhythm section and as a Nashville cat. What sessions stand out most in your memory all these years later? The early sessions in Muscle Shoals were with producer Rick Hall, who made hit records with a bunch of teenagers. Rick took Jerry Carrigan, David Briggs and myself through his FAME recording studio sweatshop and made musicians out of us. We were making hit records with Arthur Alexander, The Tams and Tommy Roe in the early ’60s. In 1964, that original Muscle Shoals section opened the first Beatles concert in Washington DC. By 1965, we had relocated to Nashville and there we began to work more pop, rock, and R&B sessions in Nashville’s golden age. 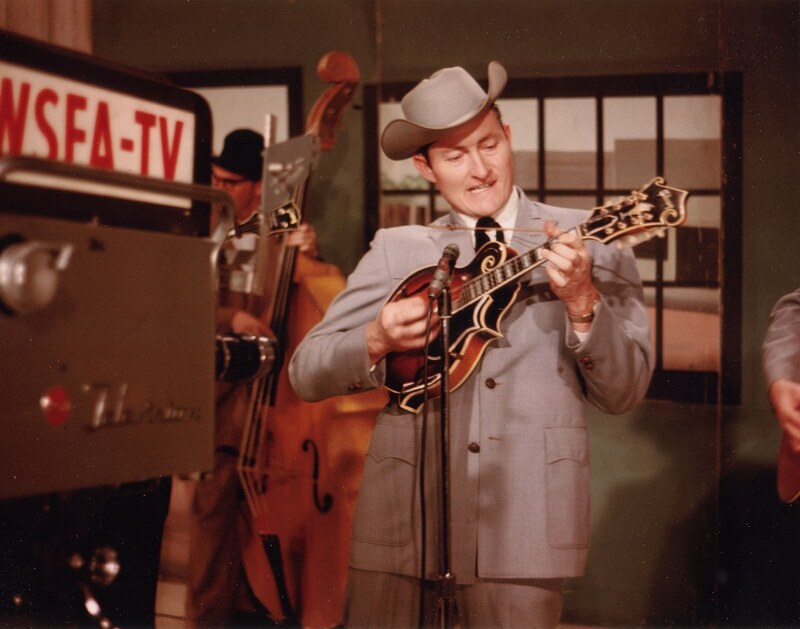 I played on big pop hits by Tony Joe White (“Poke Salad Annie”), The Vogues (“Five O’Clock World”), Bobby Goldsboro (“Honey” and “Little Green Apples”) and in the span of one day you could play bass with Loretta Lynn, Al Hirt, Henry Mancini and Elvis Presley. And after Dylan came to town — in came Joan Baez and all the folkies. Nashville in the ’60s and ’70s was a very diverse musical landscape. But if you ask me to name a favorite, it’s Elvis Presley — the most dynamic singer I ever worked with. A session with the King was an athletic event. Elvis exhibited more unbridled power and strength than all the others put together. I played bass on 122 Elvis tracks; I speak about this at length in my book. In the time since you retired, the music business has undergone major upheavals. What are your thoughts on the emerging digital paradigm? I find it all very exciting. The old paradigm, whereby the major labels, in collusion with terrestrial radio controlled all hit records, is slipping away. Artists today are looking to control, manage and own their destiny. I have no idea how it will all work out but it is sure a lot more fun to consider the possibilities. I want to be a part of it!